1. Your sound is very, moving. What are some of your big influences right now, both musical and non-musical? Lately I’ve been listening to a lot of Kid606, old White Zombie remixes, and the new Starkey album… haha I’m sure that’s got to influence my music somehow. I’m really into the whole UK funky meets UK garage and dubstep sound right now also. The newer songs that I’m making right now are very influenced by the idea that the ancient Atlantean’s listened to techno and were raver’s of sorts. It’s said that their technology was way beyond what ours is now- and I can believe it. I’ve also been influenced by what is happening in the world and striving to make some truly conscious dance music. Going to Burning Man about 3 years ago really got me back into electronic music. I was hearing a lot of drum n bass that really got me. I wanted to bring an element of that rave madness back to Denver, and just create an awesome dance environment overall. 3. 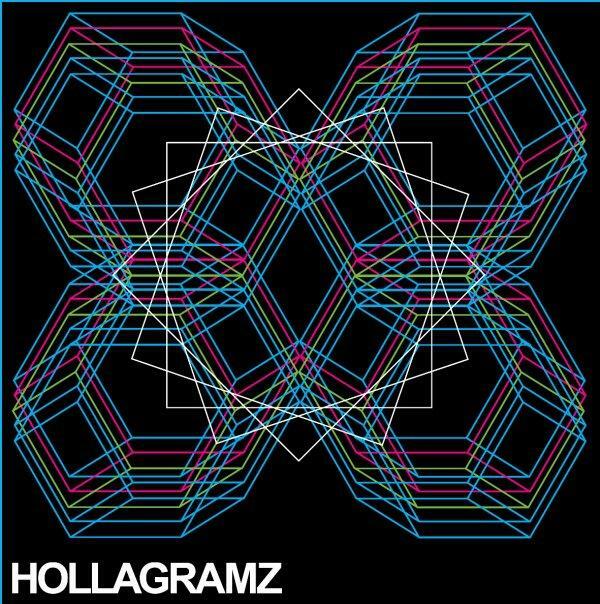 HOLLAGRAMZ has some sort of spaced-out, multi-dimensional voyager attitude, has this always been a part of what you do as an artist? That is a good question… The type of music I used to do was very guitar based, not as spacey. But it seems like over the years it started getting more and more spaced out. But I would have to say that my visual art has always been sort of extra dimensional. 4. What is the electronic scene like in Denver? The electronic scene in Denver is awesome right now. There are a lot of dubstep producers and DJ’s that are doing really neat stuff. But I think the coolest things that are happening right now are centered around the Rhinoceropolis scene. People like Pictureplane, Hideous Men, Iuengliss, and Greencarpetedstairs are really pushing it and making really experimental electronic music. 5. Words to anyone interested in becoming some sort of an electronic artist? I would have say just go for it! I don’t think it really matters how you produce or what sort of software or equipment you’re using. It really doesn’t matter as long as it sounds good to you. I would also recommend getting involved in your local DIY scene, where it is much easier to start playing shows and getting out there.